Grace Christian Homeschool: The Homeschool Mother's Journal - 6/1 - First Week of Summer! 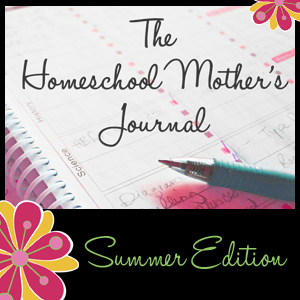 The Homeschool Mother's Journal - 6/1 - First Week of Summer! It was our first week of summer vacation and we began with an overnight beach trip! It went by entirely too fast and I didn't take a single picture!! We came home tired and sunburned but we enjoyed our time especially joining up with awesome friends! June is here - unbelievable!! Our schedule is still crazy as we prepare for recitals, VBS, CC Practicum, and summer camps. We are still on the Schoolhouse Review Crew as well so we will continue reviewing products. family - When I look around at the declining families around us, I am just so grateful for the wonderful family I have! family - Along those same lines, I know that if we are not intentional and keep our focus on God that things can change quickly. Visit the new Schoolhouse Review website! It looks awesome and I'll be perusing it to see what reviews my upcoming curriculum choices received. Can I get 3 cheers for summer!! hip hip hooray - hip hip hooray - hip hip hooray ! !